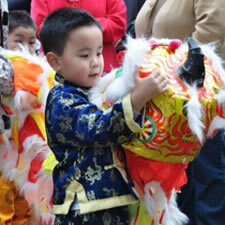 The Chinese New Year celebratsions in London is one of the key event organised by the LCCA. Chinese New Year is an important traditional Chinese holiday celebrated at the turn of the Chinese calendar. In China, it is also known as the Spring Festival and is an official holiday. Chinese New Year celebrations traditionally run from Chinese New Year's Eve, the last day of the last month of the Chinese calendar, to the Lantern Festival on the 15th day of the first month, making the festival the longest in the Chinese calendar. Because the Chinese calendar is lunisolar, the Chinese New Year is often referred to as the "Lunar New Year". 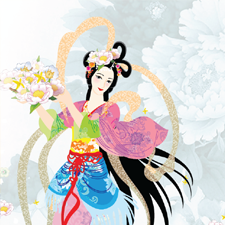 The source of Chinese New Year is itself centuries old and gains significance because of several myths and traditions. Traditionally, the festival was a time to honor deities as well as ancestors. Chinese New Year is celebrated in countries and territories with significant Chinese populations, including Mainland China, Hong Kong, Macau, Taiwan, Singapore, Thailand, Indonesia, Malaysia, Mauritius, Philippines, and also in Chinatowns worldwide. Chinese New Year is considered a major holiday for the Chinese and has had influence on the lunar new year celebrations of its geographic neighbours. Within China, regional customs and traditions concerning the celebration of the Chinese new year vary widely. Often, the evening preceding Chinese New Year's Day is an occasion for Chinese families to gather for the annual reunion dinner. It is also traditional for every family to thoroughly cleanse the house, in order to sweep away any ill-fortune and to make way for good incoming luck. Windows and doors will be decorated with red color paper-cuts and couplets with popular themes of "good fortune" or "happiness", "wealth", and "longevity." Other activities include lighting firecrackers and giving money in red paper envelopes. Who is the London Chinatown Chinese Association? LCCA was founded in 1978, with the aim of developing and expanding businesses in Chinatown and representing British Chinese to engage effectively with the British government . LCCA was also devoted to working closely with the London Chinese Community Centre in providing a wide range of essential services for the many Chinese “living in the United Kingdom and with a heart connecting to China”. More importantly, LCCA served as an outlet for Chinese businesses to voice their concerns and together bringing better conditions and prosperity to the whole of Chinatown. 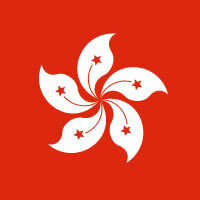 The LCCA maintains a close relationship and bond with the Hong Kong's New Territories Community. One notable participation by LCCA was the “Preserve The Villages And Clans Action” organised by New Territories Heung Yee Kuk. LCCA proudly remains committed to its aim in serving the Chinese business community in London. Today it is also the official organisor of the annual Mid-Autumn Festival and Chinese New Year Celebrations held in Chinatown. Over the years these events have not only attracted people throughout Britain but from Europe and around the world. 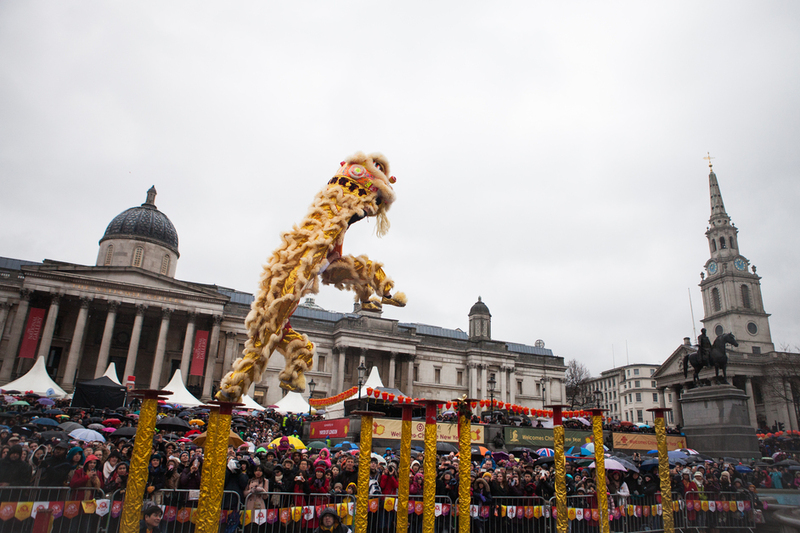 In particular the Chinese New Year Festival is now the biggest Chinese New Year celebrations held outside of Asia, it has become an integral part of the London event calendar and is the biggest outdoor event in London attended by hundreds of thousands people each year. London Chinatown has been transformed into a cleaner, safer and more enjoyable place for its visitors and the local community over the last four decades. Working with the local council and other stakeholders, LCCA will continue to develop and make improvements to meet the changing needs of the area. Click here to read more about the Action Plan for development of Chinatown, our Public Arts and our plan for a new traditional Chinese Gate on Wardour St.
We would like to sincerely thank Chinese New Year 2018 Sponsors. Without their generous donations, we would not be able to put on a show for you. More sponsors to be added soon. A list of our regular events and past events. London Chinatown extends from Gerrard Street to Lisle Street in the South and to the north to include parts of Shaftesbury Avenue. 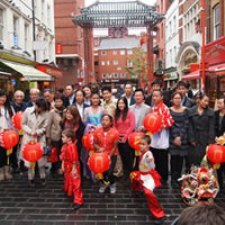 The London Chinatown Chinese Association works closely with Westminster City Council to support film production in Chinatown. Our aim is to ensure that these activities continue to be regarded by all as safe, lawful, successful and fair. Gerrard Street and the majority of the streets and footways within Chinatown are narrow, restricted and busy with pedestrians most of the day. A planned event therefore will be limited to where it can be safely managed. 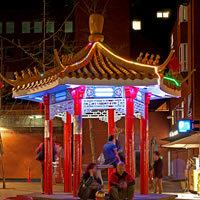 Any events taking place within Chinatown will need to prove a benefit to the local community, businesses or residents. The London Chinatown Chinese Association represents and acts as a liaison with the local community and businesses. Anyone interested in filming in Chinatown should downloand and fill in the Filming Record Form so we can access the impact of the production and consult with the stakeholders likely to be affected. The LCCA welcomes donations from filming companies towards the maintenance and development of Chinatown. Please use this form to send us your comments, questions or suggestions. Please download this image and keep on your mobile device for easy reference or pick up a leaflet from one of our event stalls or marshalls. 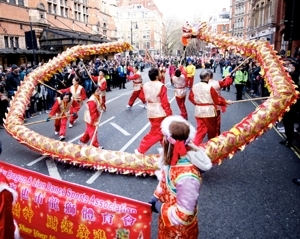 Chinese New Year Celebrations in London is one of the biggest public event in London. Promote your products or services at our event by becoming one of our sponsors or advetise in our annual Chinese New Year magazine which we distribute to the thousands of visitors to our event. If you are interested in becoming an event partner or sponsor, please contact us to discuss the opportunities for collaboration. Festive community stalls will be placed throughtout Chinatown. With a whole host of our production partners and sponsors as well as other local community businesses, there will be a range of stalls offering differnt festive activities or items available. So make sure you visit them all, you may be surprised! We have invited a selection of fabulous performers who will put on a spectacular performance. 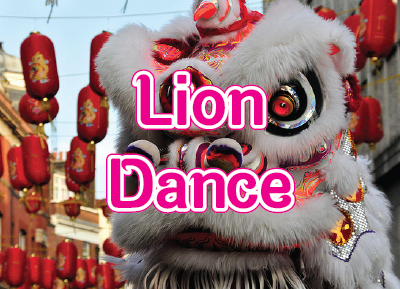 We will have two expert Lion Dance teams performing throughout the day. The lions will be performing at various desginated locations on the day. Just listen out for the drums. Scehdule is subject to change. 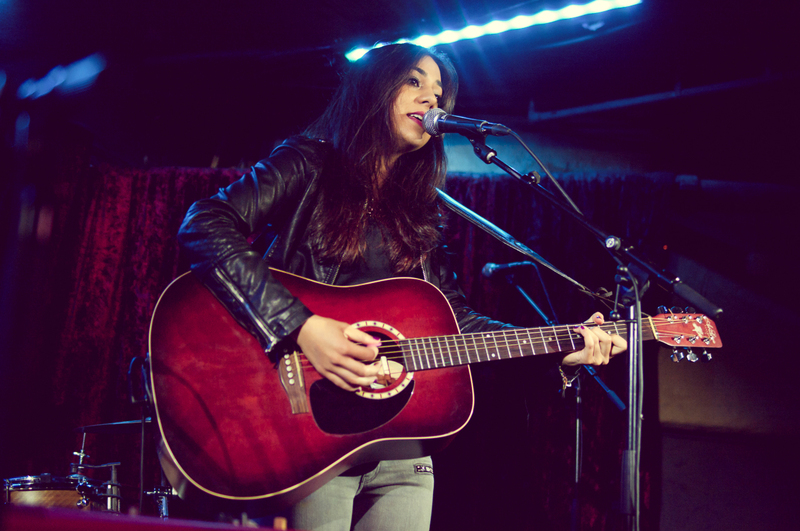 Nadia is an 19 year-old singer/songwriter, half British and half Spanish. 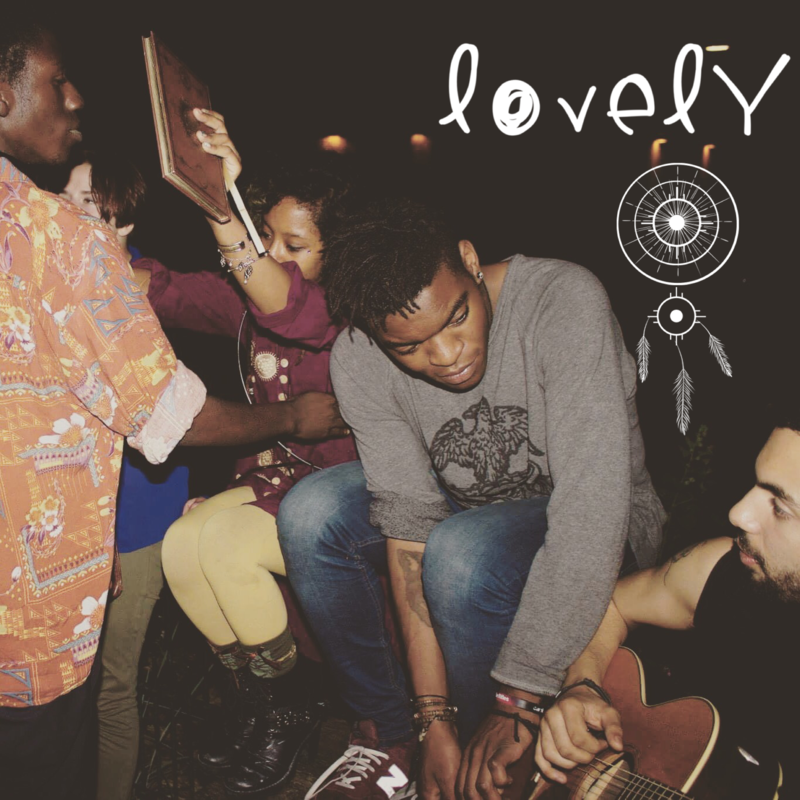 Pop/rock songs in acoustic format, being her influences the Beatles and Oasis amongst others. She has been performing around Spain and the UK and writing songs since the age of 13. At the end of 2013 she released her first EP under the name of “50 feet”, which received a good welcoming from both, public and press. Now studying music in London, she has played in many renowned venues around the city and make her music known. TaiSik was formed in London during 2014. 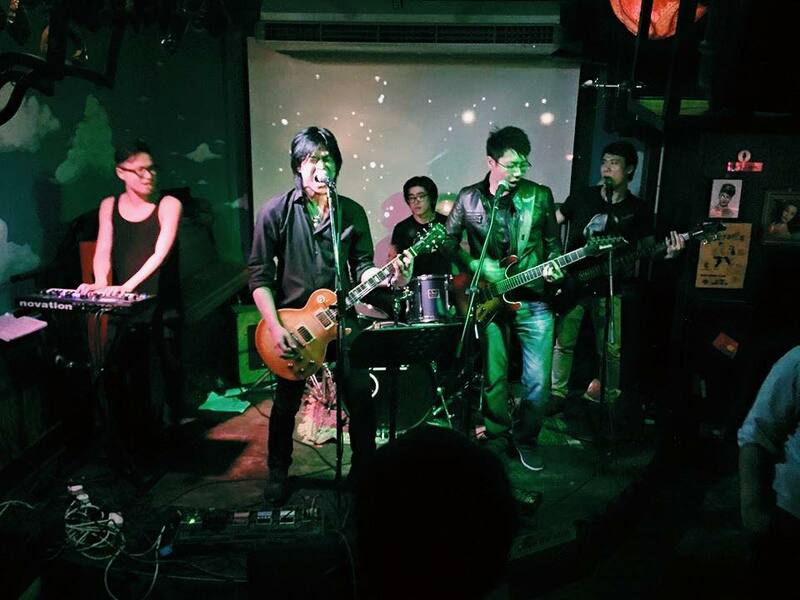 From pop to rock, to blues and fusion, TaiSik’s stylish and fresh sounds has earned themselves the title of ‘UK’s most colourful Chinese band’. Originally formed under UKCMMA, Beat Nations and Chinese Guitar Club, their unique sounds is influenced from a diverse of music reportire and cultural clashes. 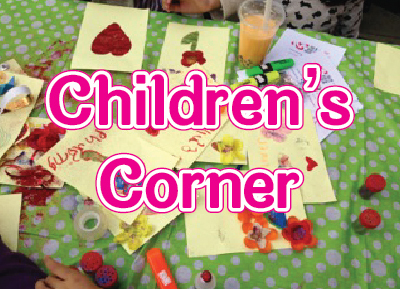 Celebrate the festivities in traditional style at our children's corner where children can listen to stories and participate in activities. 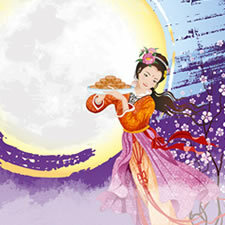 True heart Theatre will be hosting a series of Story telling about the moon Festival between 1pm to 4pm. There will be also be drawing and card making for Children, working with their parents to write wishes to the Moon Goddess. the card will be displayed for other visitors to see. There will also be face painting by Chinese community centre for the children and a surprise visit of the Chinese Lions . We will be working with Marco Polo Academy, UK's first Chinese English Bilingual Primary State School through their network of local schools, youth clubs and community centres to encourage young people to learn about the Moon Festival. The age group for this will be children aged 12 and under. 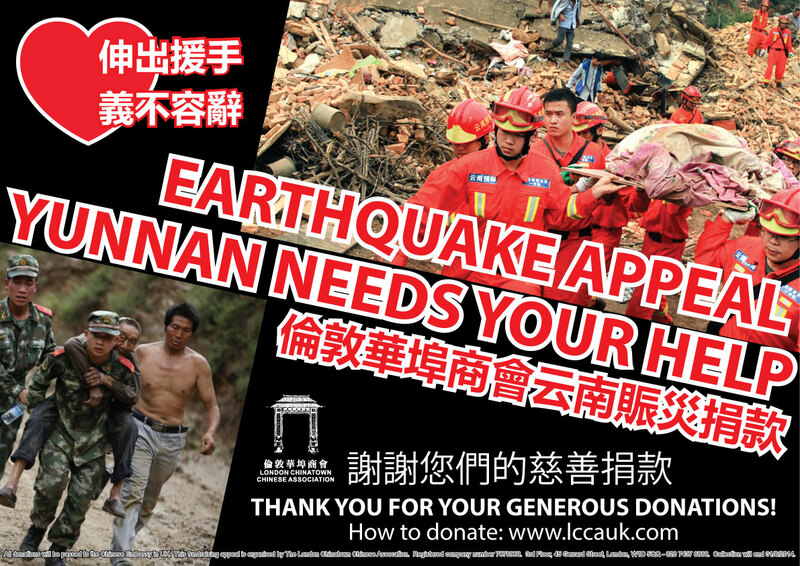 The 2014 Ludian earthquake struck Ludian County, Yunnan, China, with a moment magnitude of 6.1 on 3 August. The earthquake killed at least 617 people, injuring at least 2400 others. As of 5 August 2014, 112 people remain missing. 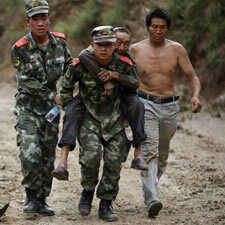 Over 12,000 houses collapsed and 30,000 were damaged. According to the United States Geological Survey, the earthquake occurred 29 km (18 mi) WSW of Zhaotong city at 16:03 local time (08:03 UTC). LCCA hosted a Street Appeal on 10 Auguest 2014 and many visitors and businesses made generous donations to help the disaster struck victims. Every little helps in this moment of need. 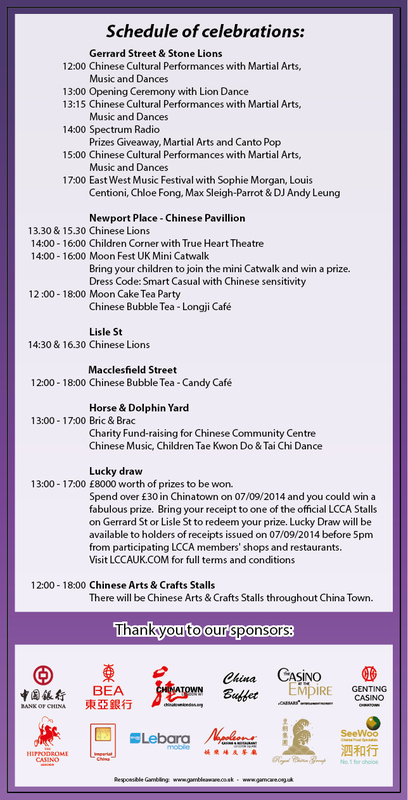 Chinatown hosted its first ever Family Day festival on Sunday 27th July 2014. The area’s famous streets welcomed a vast and exciting array of entertainment and activities for children of all ages throughout the day, in the biggest event to take place in the area outside of the annual Chinese New Year celebrations. Two stages formed the focal points of a range of fantastic acts. 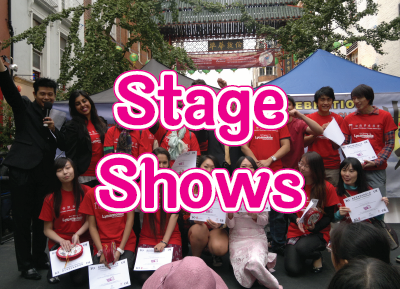 A stage on Lisle Street saw performances from traditional Chinese acts including singers and ribbon dancers as well as drummers and break dancers. A second stage on Gerrard Street featured martial arts, Chinese circus performers and a gravity-defying cube spinning display. Dotted around the streets were Chinese magicians, jugglers and stilt walkers along with Shaolin warrior monks and moving statues. Visitors also enjoyed the classic and spectacular lion dance procession – one of the mainstays of any Chinese celebration. There were also plenty of interactive activities for children to try throughout the day; the newly renovated Horse & Dolphin Yard hosted mask making as well Chinese origami and calligraphy workshops. The Chinese Pagoda at the end of Gerrard Street offered the chance for kids to design and make Chinese style prints and fans. They could also visit the face painting area and choose a Chinese inspired design. A treasure hunt also took place across Chinatown with the opportunity to win goody bags. Many of Chinatown’s world-class restaurants were offering special family menus and treats for visitors throughout the day. 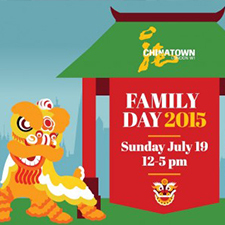 Chinatown Family Day will run again in 2015 and will be completely free to attend. 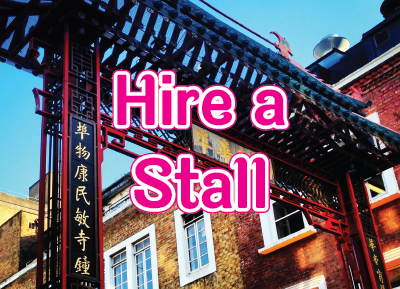 Follow us on twitter @LondonChinatown for more updates on what you can see and do on the day in 2015. 2014 was the Chinese New Year of the Horse. The actual New Year's day was 31st january, but the official celebrations in London took place on Sunday 2nd February across venues including Trafalgar Square, Leicester Square, Shaftesbury Avenue and of course Chinatown itself. 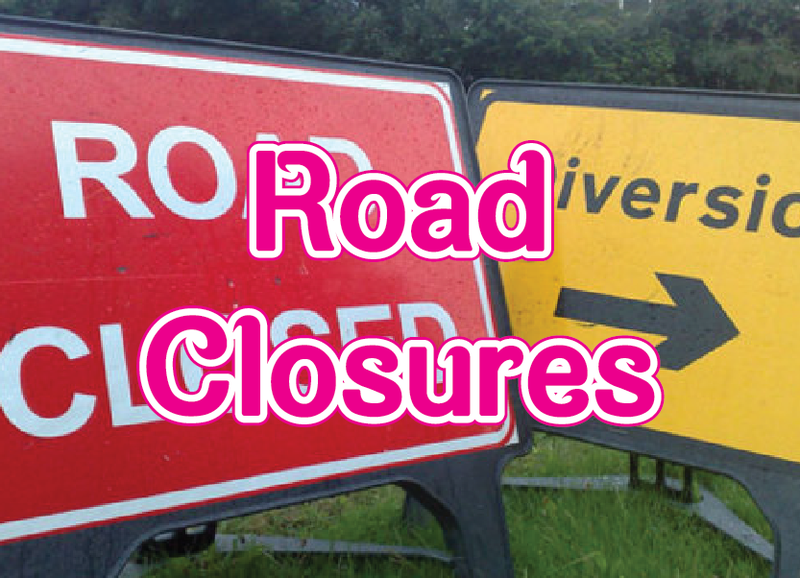 Click on image or link to download the most up to date list of planned road closures in and around Central London and Chinatown for the Chinese New Year celebrations (Saturday 21 to Sunday 22 February 2015). Please note that this is subject to change without prior notice. Please speak to marshalls and volunteers on the day for further information. Moon Fest 2014 was a spectacular success. 2014 was the first time we held a major event across Chinatown. With a whole host of different activities including martial arts, lion dance, live music performances and prize draws throughout the day, visitors got a true Chinese Mid-Autumn experience. 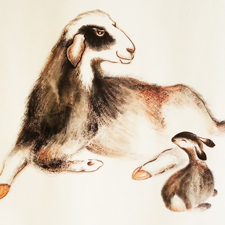 2015 is the Chinese New Year of the Sheep. 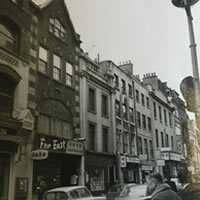 It was celebrated on 22 February across venues including Trafalgar Square, Leicester Square, Shaftesbury Avenue and of course Chinatown itself. 2016 will be the Year of the Monkey and London will be celebrating on Sunday 14 February 2016. You can be part of the organising team by sending us an email to volunteer@lccauk.com with your details, including your areas of interest and expertise. Through sheer hard work and determination, Chinatown prospered and became one of the most visited places in London. The streets of Chinatown are subject to continuous stress. It is a major thoroughfare between Soho, Piccadilly Circus, Leicester Square and Covent Garden.A large volume of deliveries to supermarkets, shops and restaurants takes place 7 days a week and close to 100,000 pedestrians traverse the area weekly; as a result, such intensive use of the space damaged pavements and the streets. Chinatown became a victim of its own success. In 2006 Gerrard Street was repaved to replace the damaged and uneven slabs that was causing health and safety risks to the pedestrians. Unused and neglected street furniture was either removed or replaced which immediately reduced clutter. 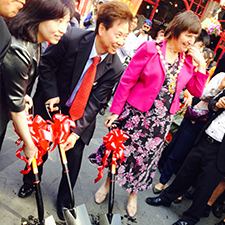 Gerrard Street instantly transformed into a more open, brighter and welcoming place. It was proposed that Lisle Street and Little Newport Street becomes a pedestrian–only area on Sundays. A creative lighting scheme was to be introduced to brighten the back walls in Lisle Street. Presently Lisle Street is closed to traffic from 12noon daily. Other improvements have yet to happen. The vehicular barrier in the centre of the street was proposed to be moved to its junction with Shaftesbury Ave. It is hoped that such improvement will happen. Horse and Dolphin Yard has been upgraded and turned into a small area for community activities and a relaxing spot that is often used by local residents and businesses. The footway on the east side has been widened, making it easier to walk between Gerrard Street, Lisle Street and Shaftesbury Ave.
Mural of The Rice Bowl can be found inside Horse and Dolphin Yard. 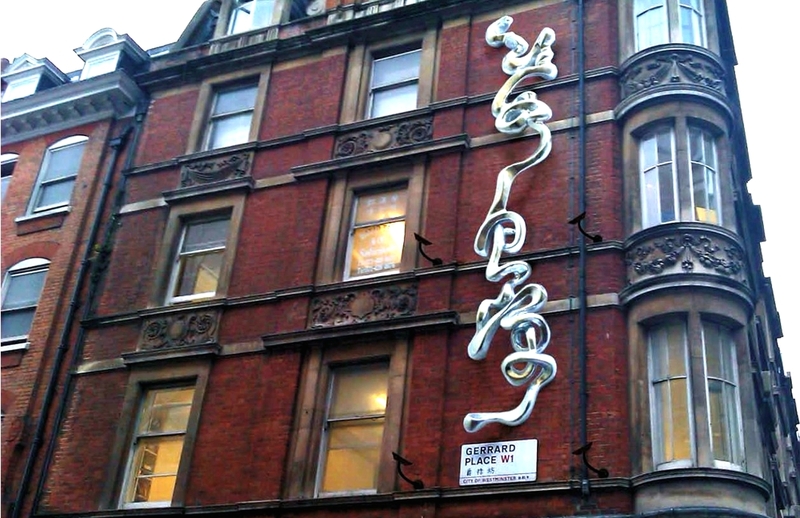 There is also a sculpture of a Lion’s Head at the junction of Wardour Street and Shaftesbury Ave and another sculpture “Flowing” by the entrance of Gerrard Place, opposite to the Fire Station. The property adjacent to Chinatown where the Chinese pavilion is situated in the small square by the entrance to the car park, has been bought by Shaftesbury Plc. Plans to redevelop and improve the area have been proposed including relocating the pavilion within the square, to open up a wider space for community activities which will make the area more user friendly and attractive. After 10 years of preparation and negotiation, approval was finally secured to erect a new traditional Chinese Gate at the Leicester Square, end of Wardour Street. This project will showcase the best of China's architectural talent, historical culture and the close collaboration between Westminster Council and the Chinatown stakeholders. It is expected that work will commence this year and that once completed, will further strengthen London Chinatown's reputation as one of the best Chinatown's in the world. Each year, we are very thankful for the support and generosity of our volunteers’ time and effort to ensure our different event runs smoothly. 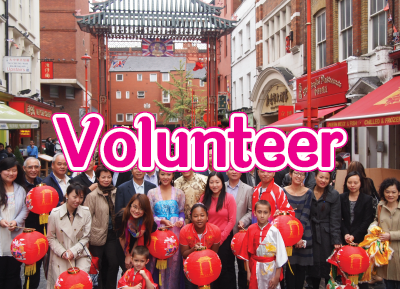 We have developed a very enjoyable and insightful volunteer programme over the years with many coming back to volunteer year after year at the Chinese New year Celebrations, as well as our other events and fesivals. If you would like to volunteer, click here to download a copy of the application form. Please email intern@lccauk.com for more details. Please email info@lccauk.com for more details. Congratulations to Xiaoshu Zhao, the winner of the UK Finals of the Water Cube Chinese Youth Singing contest organised the London Chinatown Chinese Association. The UK Contest looks for young overseas Chinese singers to represent the United Kingdom at the global competition to be held in Beijing this Summer. 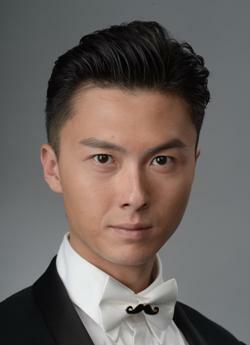 Xiaoshu will be joined by Robin Xiao, who won second place in the contest, at the Beijing finals. Third place of the contest went to Zoey Zeng, with Zoe Zhong in fourth and Ellen Liao in fifth position. Chu Ting Tang OBE, Chairman of the London Chinatown Chinese Association said, "Many young British Chinese and Overseas students are very talented in performing arts. Their performances at the annual Chinese New Year celebrations in Trafalgar Square are one of the best hightlights for the audience. I hope our UK winners will becoming successful singers in the coming years." The Watercube contest's goal is to encourage overseas Chinese youngsters in learning Chinese cultures, and to promote Chinese learning through singing activities. 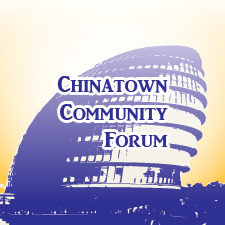 London Chinatown Chinese Association organises this international event together with the Overseas Chinese Affairs Office of the State Council of China, along with the co-organisers, the Beijing Municipal People's Government, the All-China Youth Federation. Production Units include the Overseas Chinese Affairs Office of Beijing Municipal Government, Beijing State-owned Assets Management Co Ltd, Beijing TV, Beijing National Aquatics Center Co Ltd and Beijing City Productions LLC. LCCA's Media Advisor Jason Chan said, "The two winners will be sent by LCCA to Beijing in the finals with full board and accommodation during the contest. Pop music business in China has gone through a rapid expansion in recent years. 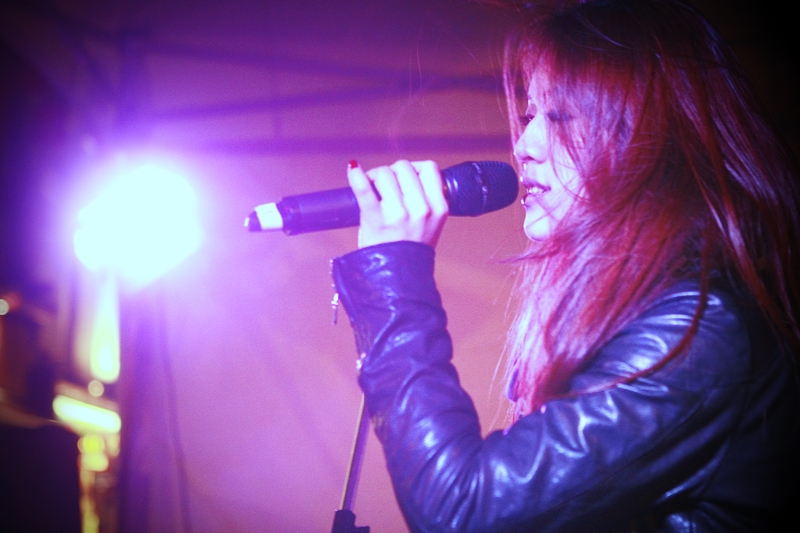 Many overseas Chinese students returning to China to pursue singing careers have become big names in the country. 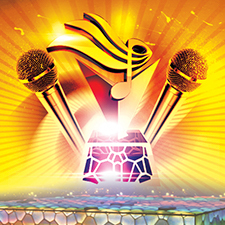 This contest provides a great opportunity for the new generation of British Chinese to express their passion of Chinese pop music and showcase their talents, with a chance for fame.". 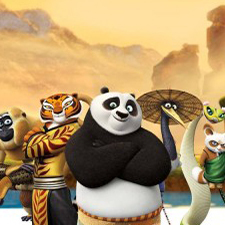 The third installment of the hit action animation Kung Fu Panda visits London Chinatown for a launch event. 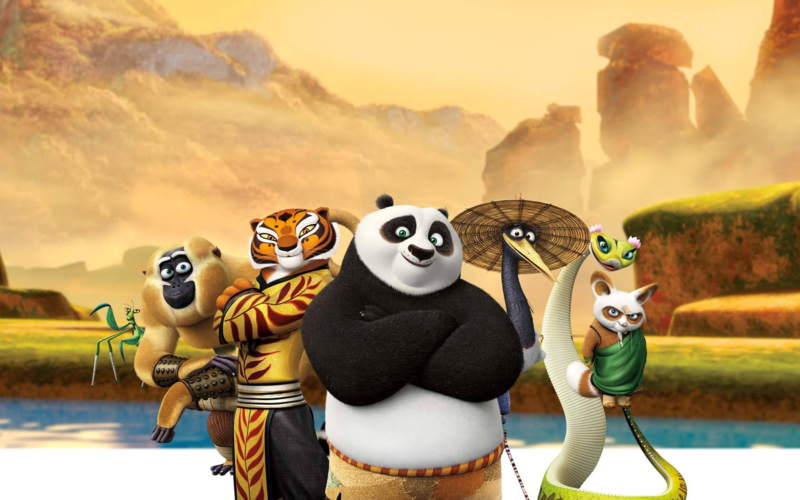 Featuring the legendary voices of Hollywood superstars Jack Black, Angelina Jolie, Dustin Hoffman, Lucy Liu, Seth Rogen, Jackie Chan,David Cross, James Hong, Randall Duk Kim, Rebel Wilson, Bryan Cranston and J. K. Simmons, the film will surely be a blockbuster this summer. Come and see the stars! After many years of planning and consultations, we have finally sought full approval from Westminister Council and our valued sponsors for donating generously for a "NEW" Chinese Gate to be erected on Wardour Street. Costing approximately £1million pounds, the new gate will give London Chinatown a new gateway and will bring prosperity for all in Chinatown. Please come and join us to celebrate this momentus ceremony and witness history in the making. 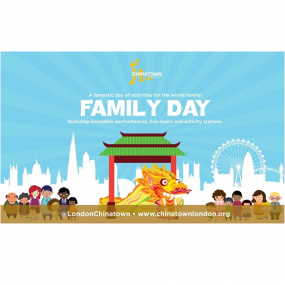 London’s Chinatown will host its second Family Day festival on Sunday 19 July 2015, and the event is set to be the biggest to take place in the area outside of the annual Chinese New Year. This completely free event will see the area’s streets welcoming an array of entertainment and activities for families and there will be something for everyone. There will be two stages that will form the focal points of the day dedicated to exciting entertainment such as fan dancing showcases, family magic shows and for the first time, will feature Chinese Elvis, the original and the best, who has been invited to play at a number of major UK festivals including the closing act at Latitude 2012. Meanwhile, around the Chinatown streets, you’ll be able to enjoy a whole host of exciting acts including the world-famous Lion Dance display which is one of the mainstays of any Chinese celebration, traditional Chinese stilt walkers, pot jugglers and drummers. There will also be martial arts and Chinese circus performers as well as a treasure hunt, face painting and calligraphy classes for the children. Come down and join the fun and remember to come with a good appetite! Being home to over 100 restaurants and 17 types of cuisine, Family Day will also offer people the opportunity to try the diverse range of food with many of Chinatown’s restaurants offering special family menus and treats for visitors throughout the day. 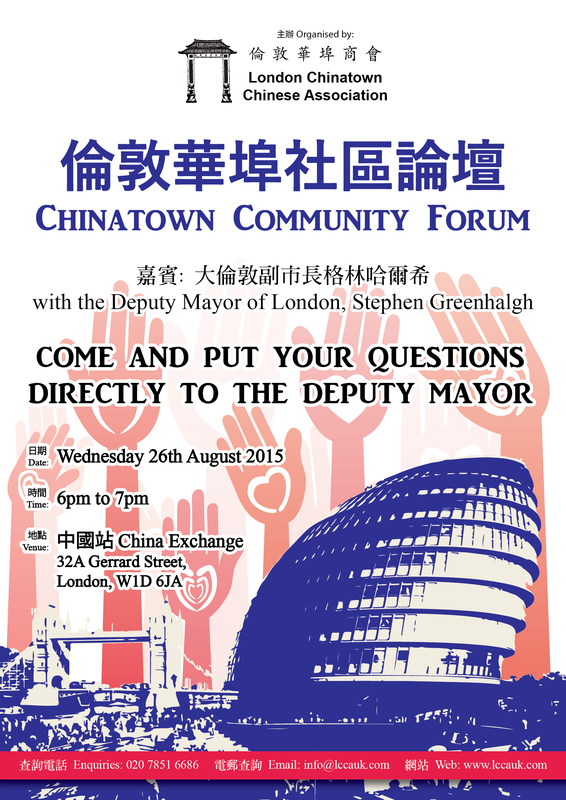 大倫敦市議會副市長格林哈爾希本周三將會到訪倫敦華埠。 The Deputy Mayor Stephen Greenhalgh will be visiting Chinatown this Wednesday. 敬請閣下光臨並向副市長親自反映您的看法，並提出有關市政府各項政策及服務的問題。座位有限，有勞儘快回覆留座。 Please join us and put your questions directly to him. Seats are limited, please RSVP asap to event@lccauk.com . 地點 Venue: 中國站 China Exchange 32A Gerrard Street, London, W1D 6JA. Moon Fest UK have been a spectacular success since we re-branded the Mid-Autumn festival (Also Known as Moon Festival) as "Moon Fest UK" in 2012. With a whole host of different activities including martial arts, lion dance, live music performances and prize draws throughout the day, visitors got a true Chinese Mid-Autumn experience. London Chinatown will be celebrating the annual MOON FEST UK on September 18th this year will an exciting programme of performances and street activities. 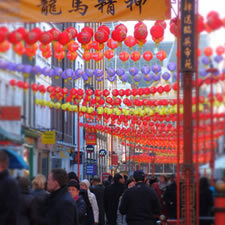 The celebration has become the biggest outdoor event in London Chinatown after the Chinese New Year and attracts thousands of visitors to the area. MOON FEST UK 2016 will be a fun time for family and friends to gather and celebrate the full moon – a symbol of harmony and unity. 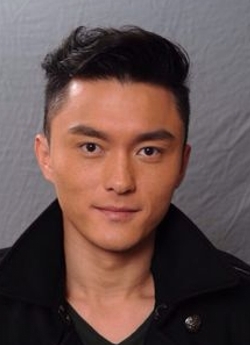 Join Tracy Chu(朱千雪) and Vincent Wong(黃浩信)from TVB series "OVER RUN OVER RUN" in London Chinatown! Meet TV stars Samantha Ko(高海寧), Katy Kung(龔嘉欣) and Mat Yeung(楊明), and win prizes with DJ from Spectrum Radio. Enjoy the spectacular Lion Dance and performances of Jun Mo Wing Chun Martial Arts, Traditional Dances and Chinese pop music. 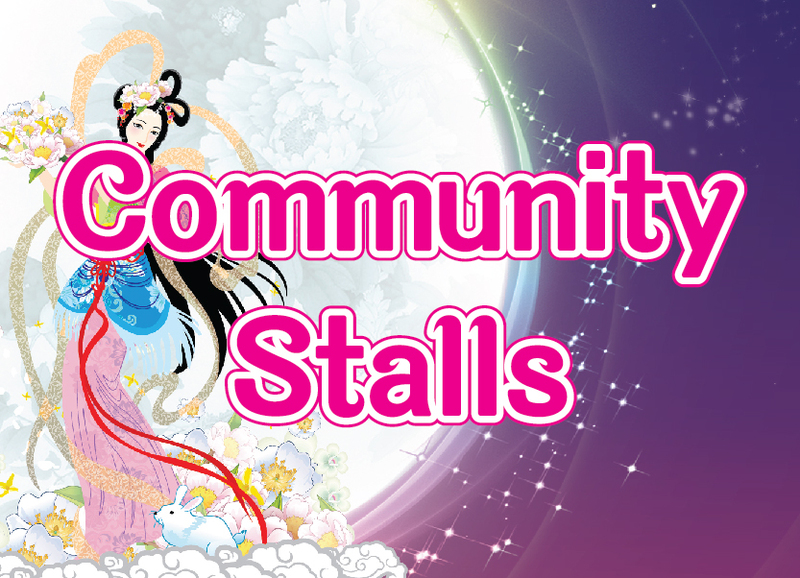 Pick up free gifts from our festive stalls and visit the Children Corner to learn about the Magic of the Moon Goddess. Lanterns and Buntings will be displayed in Chinatown during the weeks leading up to the main celebration date for a month. Moon Festival greetings banners will also be displayed on the three original Chinese gates. I. 12:00 to 2.30 pm: The first hour will be a cultural programme produced by LCCA with martial arts display, Chinese dance, Chinese music and games to warm up the audience. Opening Ceremony: Starts at 1pm with a spectacular Lion Dance, follows by Chinese community leaders and representatives of our sponsors to express their festive greetings on stage to the audience at 1.10pm. The VIPs will hand out Chinese Lanterns to the audience to mark the commencement of our official programme. The Moon Goddess will be joined by the winners of the LCCA Water Cube Singing Contest as well as senior martial artists and community groups to present a variety cultural programme till 2.30pm. 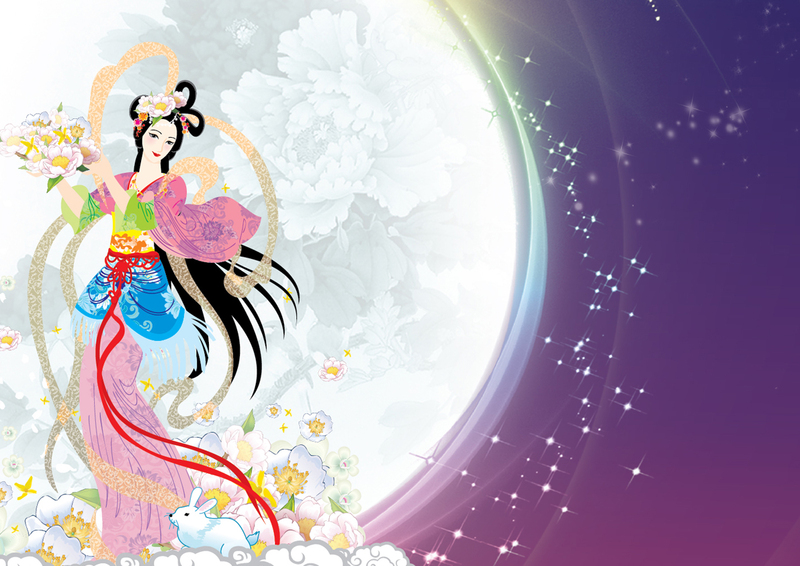 Join Veronica Needa and Amanda Maud from True Heart Theatre, as the group celebrates its 10th anniversary of service to the Chinese Community this year, and fire your imagination with the magic of the Moon Goddess. 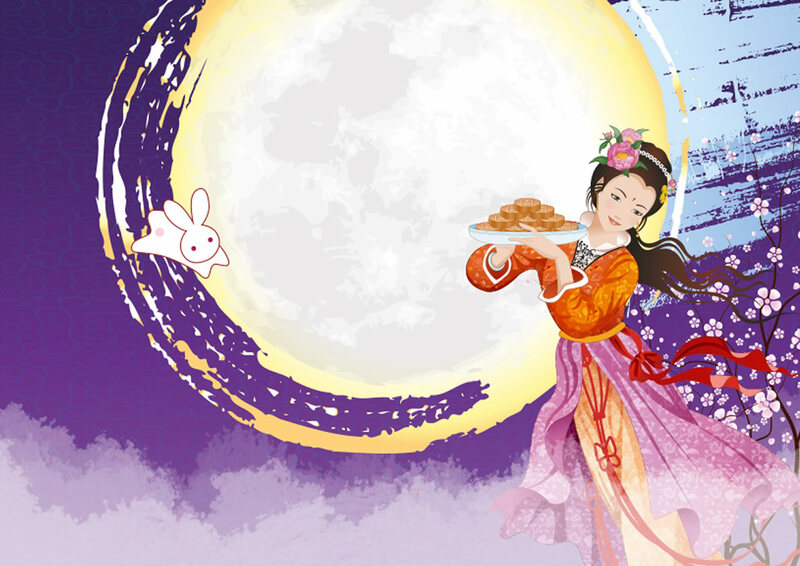 Family fun including story telling about the Moon Festival and drawing activities for children to send messages to the Moon Goddess. The cards will be displayed for other visitors to see. Other activities include face painting by Chinese Community Centre for the children and a surprise visit of the Chinese Lion. LCCA has commissioned a the famous Malaysian artist Tang Lung Pak Pak (Uncle Lantern) to create a traditional handmade Chinese lantern display for the festival this year. The final installation will be displayed at the stall of LCCA on the day. There will be a workshop at China Exchange before Moon Fest when children will learn how to make Chinese Lanterns. 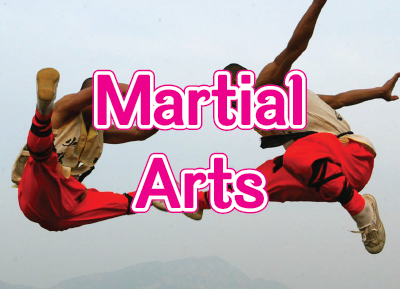 An existing programme of martial arts demonstration will be presented by the popular Junmo Martial Arts School under the leadership of Sifu Joseph Man. Visitors can try out the unique Wing Chung Wooden Man training system as well as learning from the master at close distance. Street performers in special costumes will engage with visitors in the different areas of Chinatown. Take photos with the Chinese Lion and bring the fantasic memories of Moon Fest home with you. There will be art and craft and community fun stalls all over Chinatown, Community centres will be selling Chinese merchandise, and business sponsors will be giving out promotional gifts. There will also be moon cake stalls and bubble tea for the moon festival. WOULD YOU LIKE A TRADING STALL FOR YOUR BUSINESS OR COMPANY?